Colombia has it all – beaches along its Atlantic and Pacific coastlines, wild jungle, lofty mountains, nature reserves, UNESCO World Heritage sites. And the guitarist Daniel Cadena, as versatile and diverse as his country of origin. The first time Daniel Cadena picked up an electric guitar, he was overwhelmed by an awe and amazement that others might feel when confronted by a miracle, and by the absolute certainty that this unfamiliar object would dominate the rest of his life. And so it happened. Cadena plays rock influenced by jazz, blues and funk with his band NAV, with whom he also holds guitar clinics; a dynamic blend of rock, funk and pop with Tio Cabeza; and also performs with Colombian singer, actor and Latin Grammy-winner Carlos Vives, a superstar in his home region. since 2008 he and Colombian musician Paula Ríos have been part of the band project “Tu Rockcito”, which holds rock concerts for children and families. Dynamic, driving rock music is combined with games, stories and cartoons- a mix that gets the young audiences on their feet, singing and dancing their hearts out. 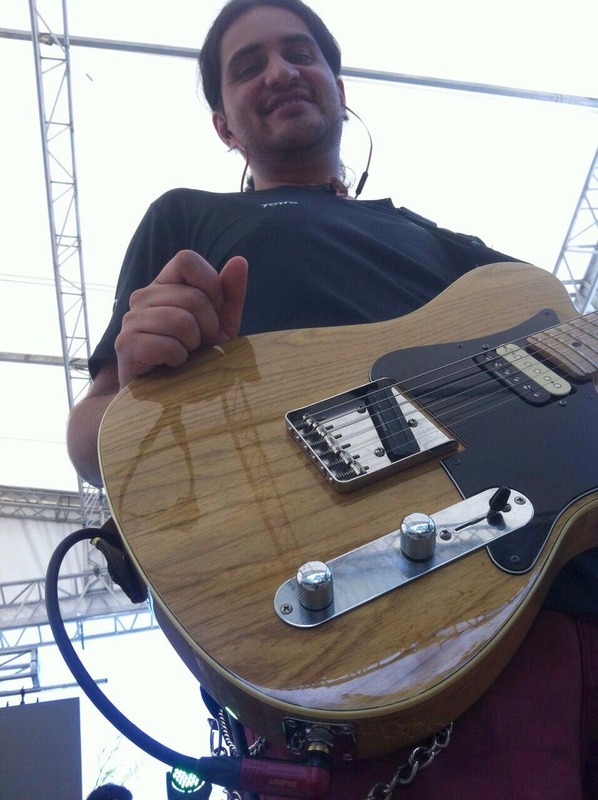 Although active in so many different fields, Daniel Cadena is fully consistent when it comes to his equipment: Daniel Cadena relies only on KLOTZ Cables.